The first Mentorship roundtable of the season kicked off on May 15th with a bang! There were over 25 attendees from more than 22 different companies. After running through introductions, the group spent time discussing different topics like techniques to stimulate innovation and how to get the most out of your relationship with your boss. Here’s a snapshot of the discussion. Innovation is an area that every product manager from every organization wanted to focus on and hear more about. The group talked through some of the struggles that had come up when trying to stimulate innovation (hint: don’t start an innovation program without the proper resources) as well as what worked well in other organizations. Innovation doesn’t always have to be in the form of a new product, and adequate resourcing and management support seemed to be what made most innovation teams or projects successful. 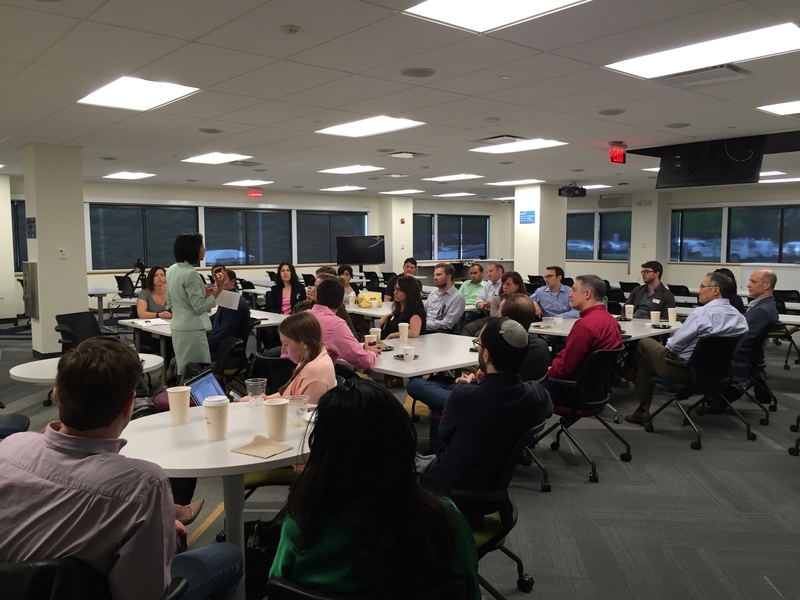 Focusing on what new customers want instead of what existing customers are demanding seemed to help foster innovation with many of the product management organizations and teams represented during the Mentorship meeting. Many of the product managers in the room admitted that the ‘fires’ they were busy putting out made it difficult to shift priorities. Overall, it seemed that innovation was an area many product managers wanted to focus on and that the group discussion helped get the creative juices flowing. Host innovation sessions in the afternoon, ideally after lunch. Surprisingly, people are more creative when they are tired. Take a shower! Take a shower? Read more why our best ideas come to us in the shower by reading Your Creative Brain, by Harvard University researcher and psychologist Shelley H. Carson. Have a contest with your department or business unit to come up with innovative ideas for products. Take a Friday afternoon, order some pizza and beer, and grab a whiteboard. You’ll be surprised with what ideas come out of it. Mentoring is all about listening and getting advice. Having a group of both new and skilled product managers helped open the doors for how newer product managers could get the most out of their relationship with their boss. Finding ways to compliment your boss’s strengths (and weaknesses) is a useful tactic for building a relationship and when working to advance your career. This helps you showcase your talents while making the two of you (and ideally the rest of your team) seem well-aligned. Transparency was another area that many individuals seemed to focus on when building their management relationships. We had a lively group and the ideas flowed naturally. Getting a bunch of product managers and product marketers in a room to talk about how to improve something is energizing and set the tone for the remainder of the month! Want to join us for the next get together in September? Read more about the BPMA’s mentorship program at bostonproducts.org/mentorship. 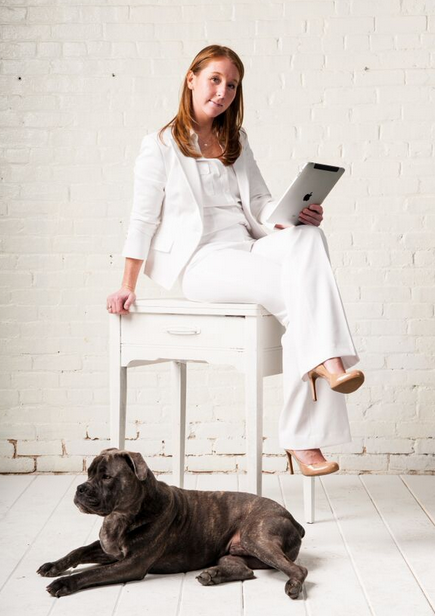 Cait Porte is the Director of Product Management and Consumer Experience for Blueport Commerce in Boston’s South End. She is responsible for being the voice of the customer when structuring the immediate and long-term strategy for product development. She focuses her time in three key areas (business, technology and user experience) in order to create the optimal customer experience. Cait works to support and prioritize customer requests and acts as the product owner within the development scrum team. Originally from Long Island, she moved to Boston 7 years ago to start her career in Product Management. She has consistently delivered optimized e-commerce experiences by identifying revenue enhancing opportunities within new and existing product lines. She has spent time at both small start-ups and large global organizations in product management, responsible for identifying and implementing the product strategy for e-commerce platforms. She has also worked for small divisions of Experian and Reed Elsevier, focusing on enhancing existing products and bringing new products to their respective markets. Cait got her MBA from Babson College in 2014. While at Babson, she has focused on entrepreneurship and innovation, paying particularly close attention to the start-up community. Images courtesy of flickr commons and Cait Porte.